Police in Bristol appear to be stepping up their so far fruitless efforts to find individual anarchists and those that they think are responsible for property destruction actions over the last few years in Bristol. One year after their firearms training centre at Portishead was burnt down, they have turned to desperate measures to try and get any scrap of useful information. They have made a number of arrests, detained people at airports, and raided people’s homes. The majority of people targeted have not even been charged with a crime, and we do not know of anyone who has been successfully prosecuted. Further, officers from CID have recently visited people at their homes under the pretext of having “a friendly chat”. Not surprisingly, they have been met with a resounding wall of silence with no cups of tea involved, as most good people understand the importance of not getting drawn into conversations with the police. 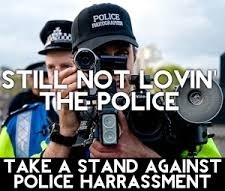 Even if any one of the people recently harassed by these visits knew anything about these actions or the people involved, we are confident that common sense and solidarity would prevail and the police would get the sum total of zero information. Anything else would be working for the police. These home visits, arrests, searches and requests to snitch are not just about information and evidence gathering. They have as much to do with a concerted effort to intimidate and divide us all. A big part of their plan is to scare people into inaction and to create divisions between us. They hope to get us blaming each other for increased surveillance to the point where someone falls for their lies and starts talking to the bad guys. These are tactics that have been used against social movements in countless places and times. But they won’t work here in Bristol. None of us will ever co-operate with those whose job it is, all in the name of “security” and “safety”, to defend the rich and powerful while keeping us down. We know that we are not the only people who face repression from the police – in no way do we want to compare what is happening to us to the things they are doing to others, for example their systematic use of anti-terrorism powers against people they see as Muslim. We oppose all police brutality and harassment, whoever they do it to. We also understand the need to stick together in the face of state control and repression. Anarchists and others targeted by the police have a wide range of opinions and preferred tactics, but we know who our comrades are and recognise the enemies at our front doors. Here is some useful information on dealing with the police, both on the street and at your front door…. There are no friendly chats with the police! If police try to talk to you, we recommend you refuse to answer anything – answer “no comment” or “I am not obliged to answer that” to all questions. This isn’t just about protecting others – any other response will be taken by them as a sign of weakness, and they may hassle you more as a result. The ONLY time you legally have to tell them anything other than your name and address is if you are stopped at an airport under “Schedule 7 of the Terrorism Act”. Even then, you do NOT have to answer questions about others, and they can ONLY ask you questions related to terrorism. If this happens to you, request a solicitor. If police come to your door, do not let them in unless you have to. The only times they can force entry are when they have a warrant, when someone who lives at your house has been arrested, or in order to prevent a crime from happening. If you live in a shared house and someone is arrested, they can ONLY search communal areas and the room of the person arrested. Dealing with police can be upsetting and intimidating, so it’s important that we support each other. Counselling For Social Change may be able to help if you need to talk through anything that’s happened http://www.counsellingforsocialchange.org.uk. Activist Trauma Support has a list of resources to help understand and deal with trauma – http://www.activist-trauma.net. The most important thing is to give each other space to talk without being given advice, and not to be left to deal with things alone. 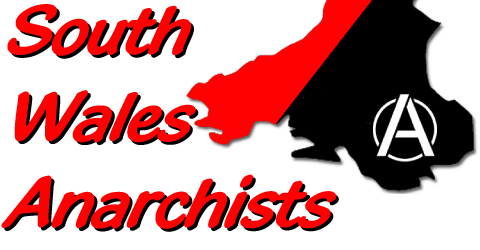 Bristol Defendant Solidarity is a group of local people committed to putting principles of solidarity into practice and standing alongside anyone facing trouble from authorities for involvement in radical politics. Anyone approached and harassed by the police to give information about people involved in struggle, here in Bristol or elsewhere, can contact BDS for support. We are also compiling a list of arrests, home visits and interviews at airports so far to get a clear picture of their lines of questioning, to track their operations and to use in any future court cases that people may want to bring against them.